Dill Mill Gayye is a show aimed at the urban educated youth. Set in the backdrop of a hospital it deals with the pressures, the drama, the romance, the inter personal relationships and humour in the lives of young doctors. Keeping the environment of a hospital in mind, the characters of the show are real, their issues are believable and the approach is dramatic, but never unreal, albeit emotional and fun filled. Welcome to Dill Mill Gayye Season 2 Blog | No. 1 Blog in Fastest Updating Dill Mill Gayye News, Audios, Videos, Photos etc. | Connect with friends, share your views | Here Entertainment Never Ends ! Dill Mill Gayye is a show aimed at the urban educated youth. Set in the backdrop of a hospital it deals with the pressures, the drama, the romance, the inter personal relationships and humor in the lives of young doctors. Keeping the environment of a hospital in mind, the characters of the show are real, their issues are believable and the approach is dramatic, but never unreal, albeit emotional and fun filled. Riddhima is a 21 year old, warm hearted, kind and good-natured girl. This single most important thing in her life along with being a good human being is her dream to make her father, Shashank Gupta proud off her achievements in the medical arena. She is intelligent and modern in her outlook to life, and yet respects and represents all the core Indian values. Quick to forgive and forget, at the same time she will not take blatant injustice lying down. Riddhima's weak spot is Anjali, as she allows Anjali to always get the better from her, but that again is not a sign of her weakness. She does so simply because her nature is amenable to everything. Yet, there is one person, an intern like her in Sanjeevani, who manages to get a rise out of the generally very easy going Riddhima. How much ever Riddhima tries to ignore Armnaan, she unexplainably cannot. 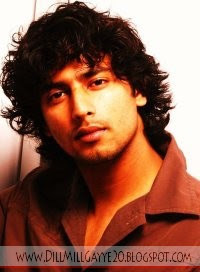 22 year old Armaan represents the new age man; one who is self confident, efficient, cheeky and occasionally even smug. He is also extremely handsome and gives the impression of being a skirt chaser. He enjoys female company and makes no bones about the fact that he has a weakening knee effect on women. He is used to being the center of female attention and also knows how to sustain that attention when he does receive it. Armaan comes from an affluent family and has never wanted for anything materialistic ever in his life. But beneath the suave and confident exterior lies a focused doctor, whose sole aim is to outgrow the stigma of being the son of an alcoholic anesthesiologist. Anjali at 22, is Shashank's older daughter and is basically one who is used to having her way. Extremly beautiful, she is quiet conscious of her looks and not above using them .She is manipulative and conniving. In addition she is also academically intelligent, making her a god doctor in her own right, though she is never a favourite amongst the patience, owing to her to-the-point attitude. Her ultimate aim is to be the head of the organisation Sanjeevani, as it means that she will have power, respectability. And it will declare her as the fitting heir apparent to Shashank's legacy. She will employ all the methods of saam, daam, dand and bhed to get whatever she sets her eyes on. Anjali's manipulative ways are most obvious in the way she handles her sister Riddhima. A lovable character, Atul is the best guy friend a girl can ever have, without ever making him a real boy friend. He is a good natured, easy going boy, who has become a doctor to fulfill the wish of his dead father, who is part of Sanjeevani alumni. His father worshiped Sanjeevani and Shashank Gupta and he has come to the place of his father's worship to pay his tribute t the man who adopted him. He is always treated like one of the girls when girlie talks are being discussed. When he realizes certain people cannot be changed, he takes mater into his own hands and empties trash, puts cups in trash and carries his own porcelain cup so that the use of Styrofoam cups in Sanjeevani can be reduced. She is a simple girl from a simple, yet reasonably rich Gujrati household. She is the youngest of three daughters and her father always encouraged her to do what she wanted. Having seen her older sisters married off and straddled with bawling children early in their life, she escaped in the direction of a possible career, with the intention that it would be a legitimate excuse for the family to delay her marriage. Her mother is possessive and she is always trying to make excuses for her mothers over domineering and loving over indulgence. She gets a dabba full of Gujrathi food, large enough to feed all the interns. And she has to very often leave work early, or keep Friday evenings free to meet a potential match. He is the head of Sanjivanii hospital and has spent his entire career as a doctor for this hospital and its patients. He is considered a 'God' in the world of surgery and all interns wait for an opportunity to assist him in the operation theater. Dr Shanshank is an idol not only for interns but also other resident doctors of Sanjivani. Dr Shashank's two daughters Riddhima and Anjali are world to him and all he wants is to see his daughters become competent doctors. Both Riddhima and Anjali come to Sanjivani to do their internship but get no special treatment for being the daughters of the head of the hospital. A smart and spoilt brat from a filthy rich NRI family. Everybody is a doctor in his family, so he has been sent to India to get real and focused. But for Sid life is a one big PS3 game. He is never serious about anything in life and has a general disregard for everything. He didn't want to become a doctor as it takes a lot of hard work. A complete gadget freak wants to get out of this filth and go back to his high life in Houston. Sid loves to flirt but will never commit, he is an overgrown temperamental kid. The shrew who needs to be tamed. But he is capable of being brilliant because with minimal effort he does well. A girl with middle class moralities. She is focused on her career and doesn't get distracted. She is the reliable and responsible daughter of her parents. Tamana has a high sense of justice, is simple yet smart, sensitive and compassionate. She is the star of her chawl. She is always seen in salwar kameez with distinct style and look. On her rests the hopes dreams of her family. Naina is from a rich but orthodox gujju family and is the youngest of six siblings. But she's not the one to compromise on anything -she'll work her way around all stuff. She is a convincing and a shameless liar, but does not to hurt anyone. Her parents want to arrange her marriage but she is interested in her career. She always maintains a dual identity leaving home wearing a salwar kameez and transforming into spaghetti straps and minis. Always high on energy and life like a firebrand and bindaas. Is a chatterbox and slightly dumb. Loves trying out new things and experimenting. She has a point to prove to herself which makes her rebellious in a positive way. He is a middle class boy with a modern outlook. Has the responsibility of his family on him with a working mother and a younger sister. Life for him is a series of discoveries. He is serious and focused and believes that medical practice is not only a science but also an art. He has a wicked sense of humor full with one liners and wise cracks. Always takes stands and has opinions making him the most balanced and matured person amongst all the other interns. You can always put your money on his future. He goes on to become Dr Shashank's proxy guy - but little does anyone know. That he hides as a deep secret. We Want Our DMG Back !!! His official site is ready!! Sukirti Kandpal's Claim To Fame !!! Do Se Bhale Teen - Karan Singh Grover's 'Woe'men ! Is This Starting End Of Karan-Shraddha's Relationship? Why Did Sukirti Khandpal Exit From Dill Mill Gayye? Do You Think Dill Mill Gayye Should Be Goes Off Air? Are you happy about the new innings in Dill Mill Gayye?